I’m not sure how to handle the moments of my days anymore. Too many of them bring tears. 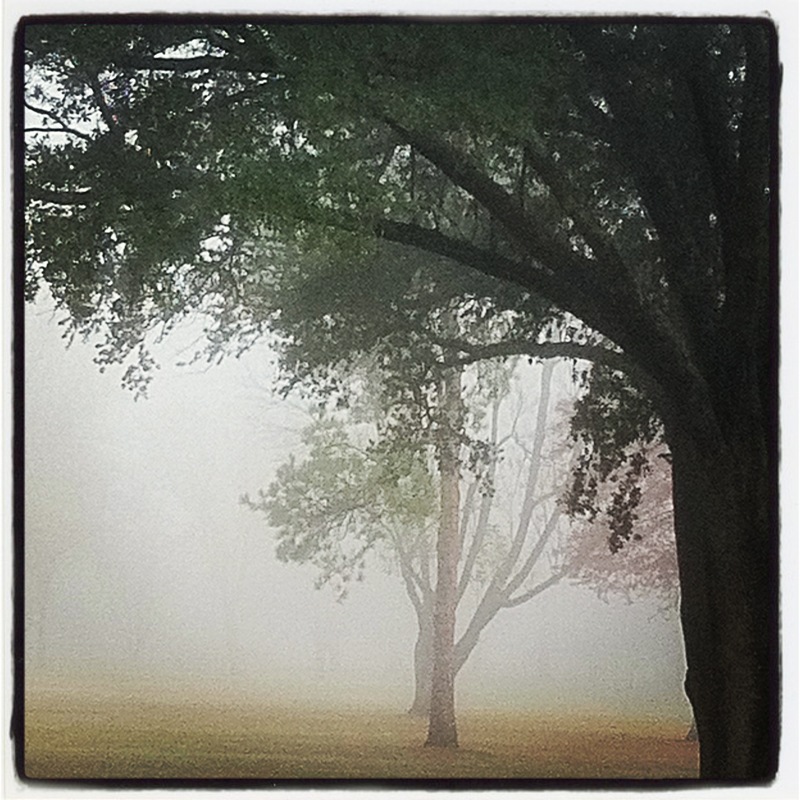 Too many of them are like trees that recede into the mist…….I recognize them but they dissolve in front of me, solid objects that were once familiar but now are partially obscured. I remember what they were like in their wholeness but I’m just a little bit afraid I won’t see them completely again. In my once safe world, I never imagined that I would have days with so much uncertainty and sadness. I want to trust that there is a reason for adversity in our lives. I NEED to trust that there is a reason for adversity in our lives. I wish I could see through the mist, into the future, so I would know what I’m up against. I want these particular moments to end. I want the safe moments back. Did you ever read that old book called Passages? We move forward silently in our own thoughts through the years until we reach the end and perhaps become part of the mist. I’m sorry Julie, I know the pain of this profound sadness. The terror of an unknown outcome, the fear that infuses every minute of the day. It’s been with me for months, while I wait for God to finish his current work. Someone very dear is very ill. I think of your struggles, your fears, your hurting heart often. Faith is difficult, but keep it you must! I am keeping you all in my prayers. In the midst of adversity, it is so hard to trust that we will get through it and that things will be okay..different than before, but still okay. Phil 4:13 has carried me through the most difficult times, especially when I felt I couldnt get through one more day or even one more hour. I pray you will find the strength and courage to get through this. Don’t think of this time in your life as the end, but rather a new beginning. You are being called into a conscious state of living where all you have is in the moment you are in. Let Go and Let God. …..Your photo is beautiful…..may I download it use it as part of my WomensWorkBook collaborative? Thanks for your comment Jan, of course you may use the photo. …one phrase that always put my mind, and more importantly, my heart at rest…”If HE brings you to it, he’ll bring you through it”… much love and respect for you my dear friend. Just for today I will try to live through this day only, and not tackle all my problems at once. I can do something for 12 hours that would appall me if I felt that I had to keep it up for a lifetime. ~This quote has helped me remember to breathe. Praying for you and all. Julie, my heart is broken for you!!!! What can I do? I love you.